A search on LinkedIn was never a good experience. But I’ve got some good news. 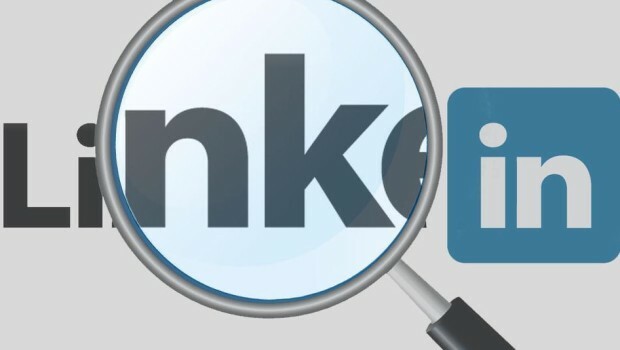 Starting today, searching on LinkedIn has become better and smarter. 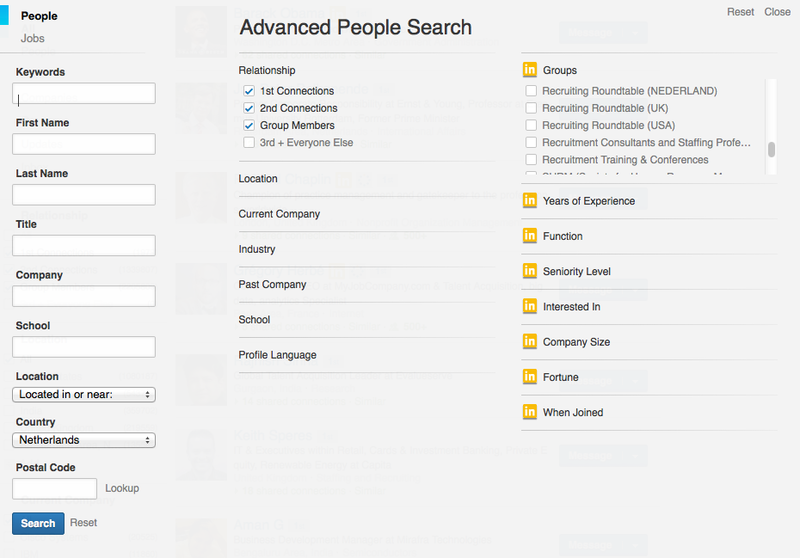 No longer you need to search for people, companies, updates or jobs separately. All you need to do is type what you’re looking for into the search box and you’ll see a comprehensive page of results that pulls content from all across LinkedIn including people, jobs, groups and companies. The layout has changed and the standard plus premium filters are still there. A few people were afraid that LinkedIn was going to further limit the search results for free users. I have more good news. We got more results with richer information (i.e. counters) and you can still search and view 3rd+Everyone else profiles! The standard filters deepen your search with location, company, industry, profile language, school and more. Looking for a new job? The Jobs search interface had a makeover too and works fast. You can immediately see which companies are advertising the most jobs in your field and where most jobs are (location). Auto-complete – As you type your search term (in the top bar) you’ll be prompted with options for what you may be looking for, and the more you search, the better it will get at predicting what you want. Smarter query intent algorithm – The more you search for content on LinkedIn, the more it learns and understands your intent over time to provide the most relevant results. This means even if you search for the same thing as someone else, your results will be customized to you. Save search – Not a new feature but good to mention again is the possibility to save your searches so you’ll be automatically alerted when the results change. Counters – You can immediately see the number of search results with each filter. Sorting results – Unfortunately that is gone. You cannot sort on number of connections or recommendations anymore. The most relevant results, according to LinkedIn, appear on top of the list. 13784 ABN AMRO Bank N.V.
What do you think of the new LinkedIn Search? Jacco Valkenburg is an international recruitment expert, trainer and author (5 books). He has more than 20 years experience in global recruitment strategies and execution spanning numerous countries for leading companies. As founder of Recruiter University and Recruit2 he provides companies with recruitment training and consultancy. His mission is helping companies ‘from good to great staffing’. Welcome! This is an international blog about Employer Branding, eHRM, Recruitment and Staffing. Our mission is to change the world of recruiting, one post at a time. Are you a top recruiter? Participate and get insight into your profile! 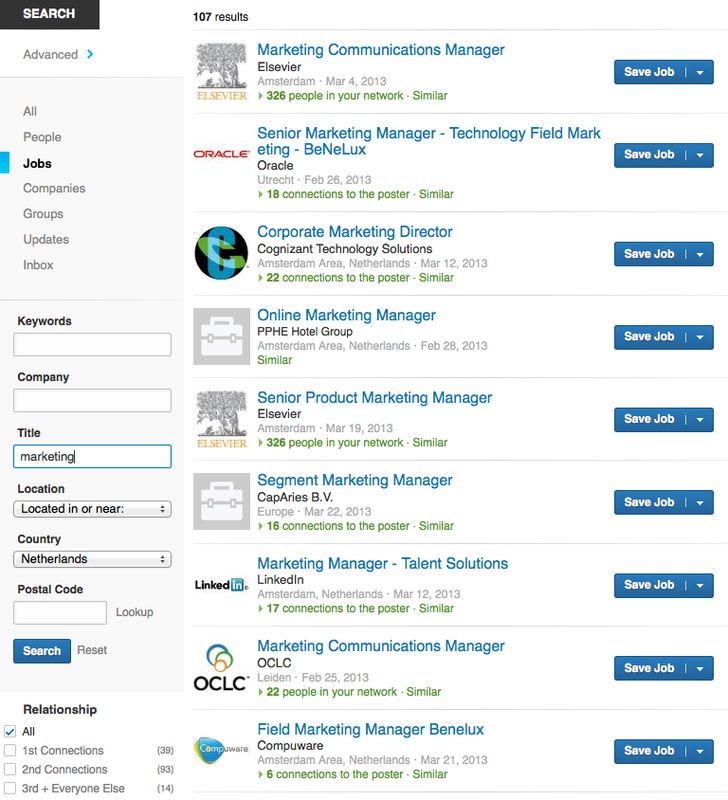 Does the number of endorsements matter on LinkedIn? What are the 3 most important recruitment analytics? 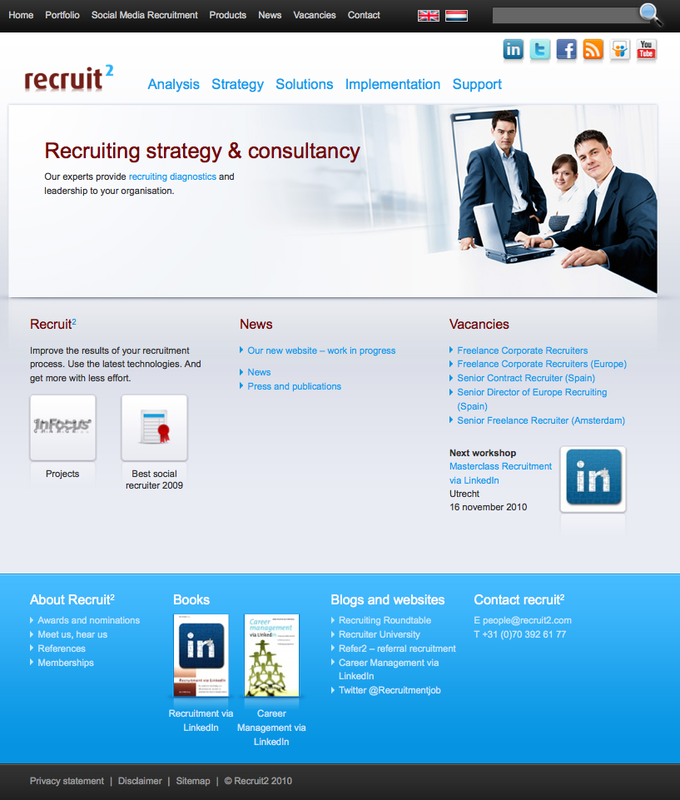 Become a member of the LinkedIn group 'Recruitment Consultants and Staffing Professionals'. Expand your network of people, ideas and share leads now. Recruitment 3.0 is a practical guide for Recruiters, HR Professionals and Employer Branding Specialists. Order via our website Recruitment3.com. An initiative from Recruit2, experts in recruitment training and consultancy. For more information Recruit2.com. Nederlandstalige artikelen verschijnen op het blog Recruiting Roundtable Nederland. Copyright Recruit2 / Global Recruiting Roundtable. All Rights Reserved.